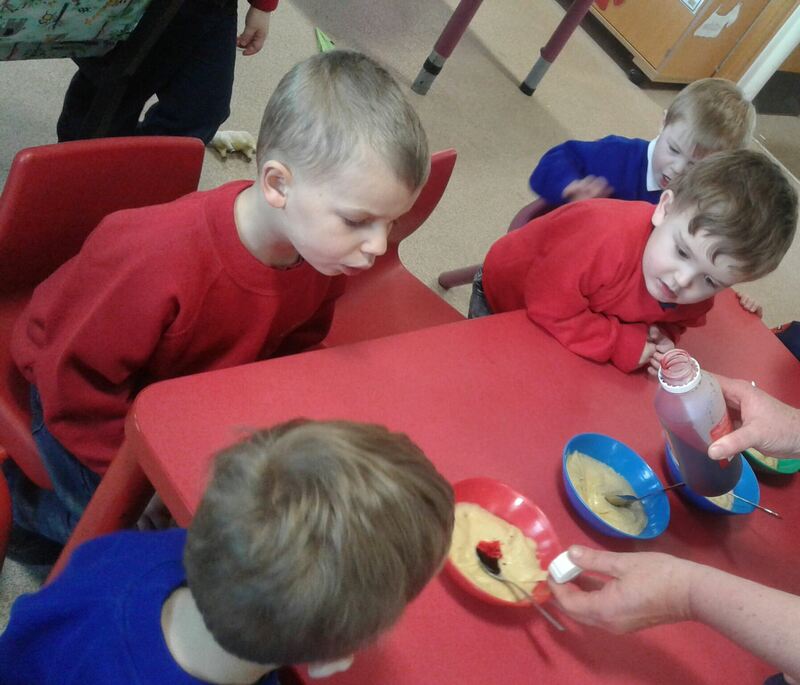 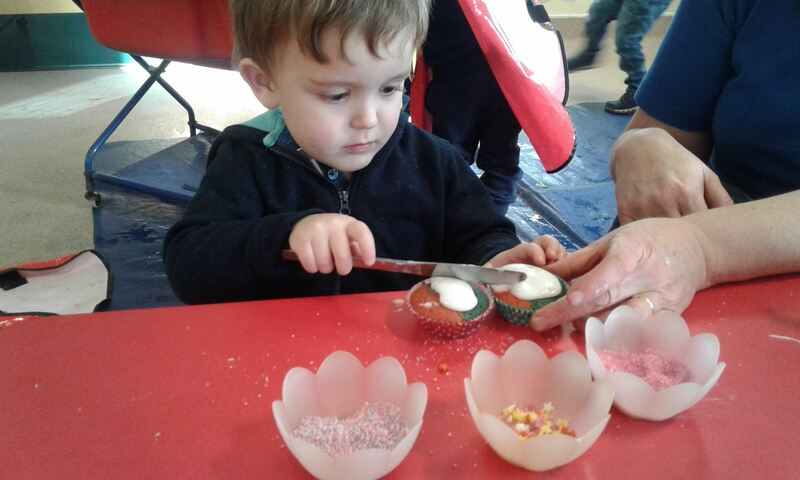 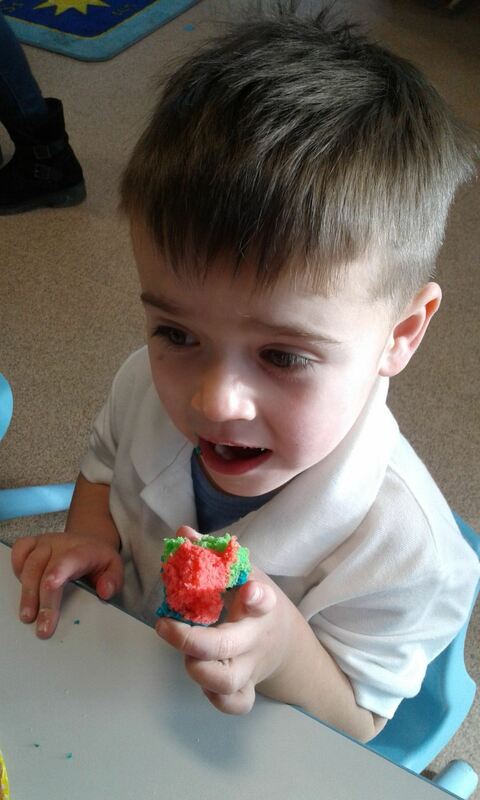 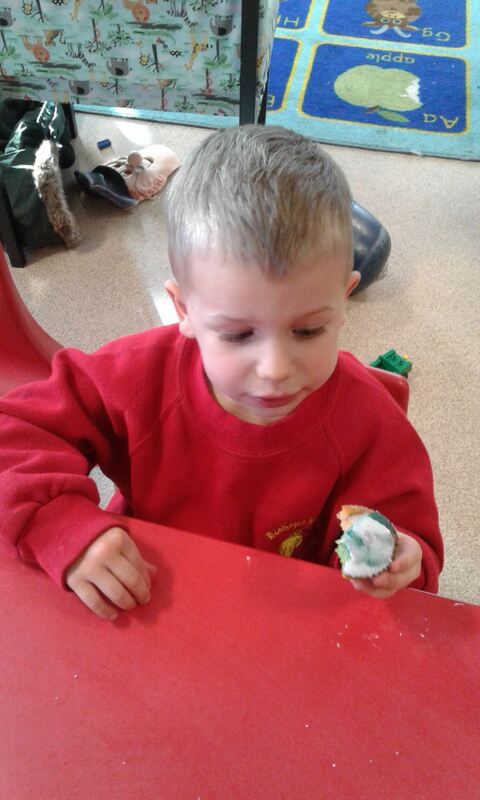 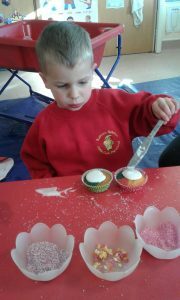 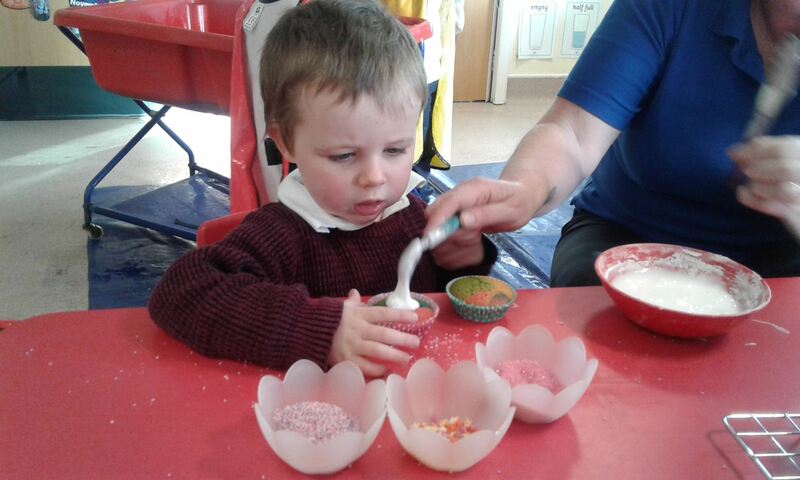 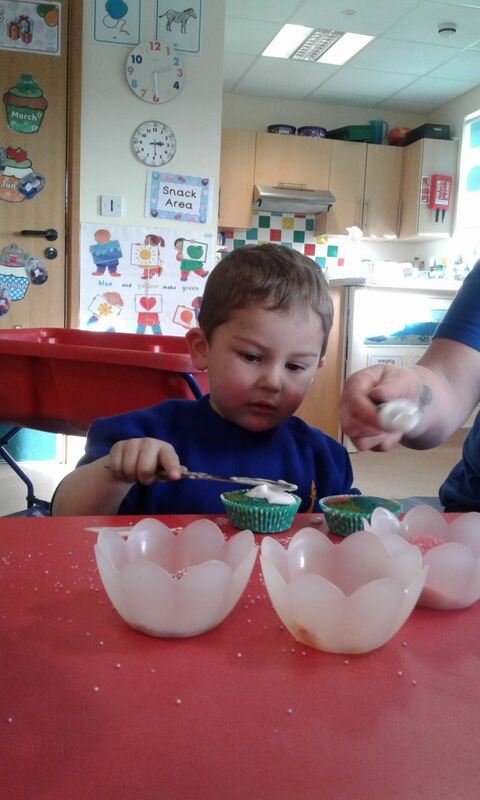 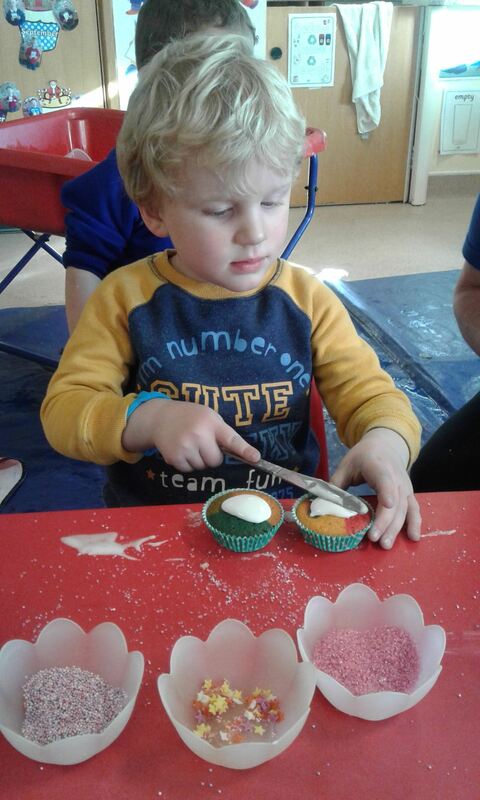 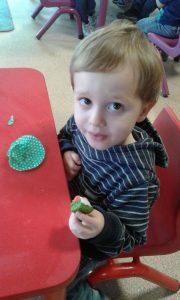 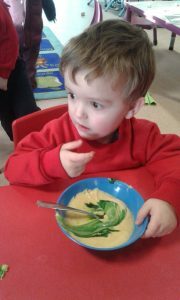 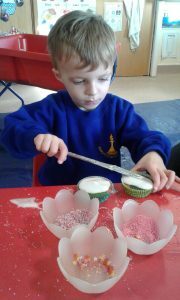 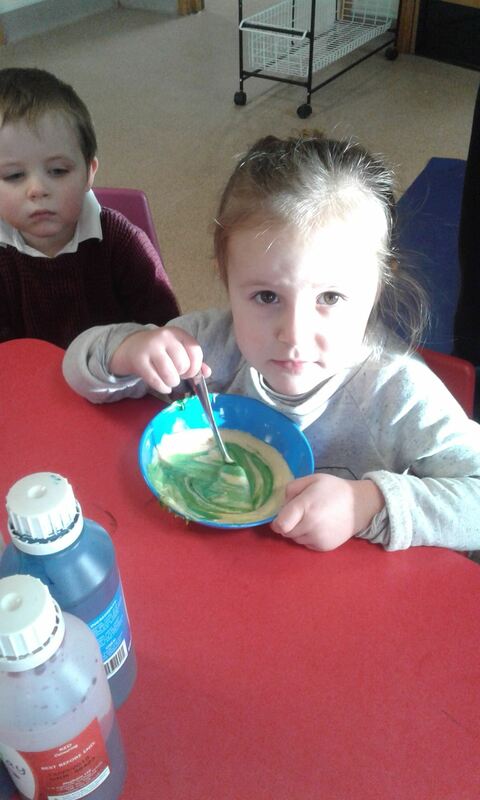 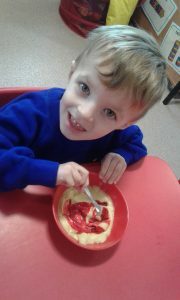 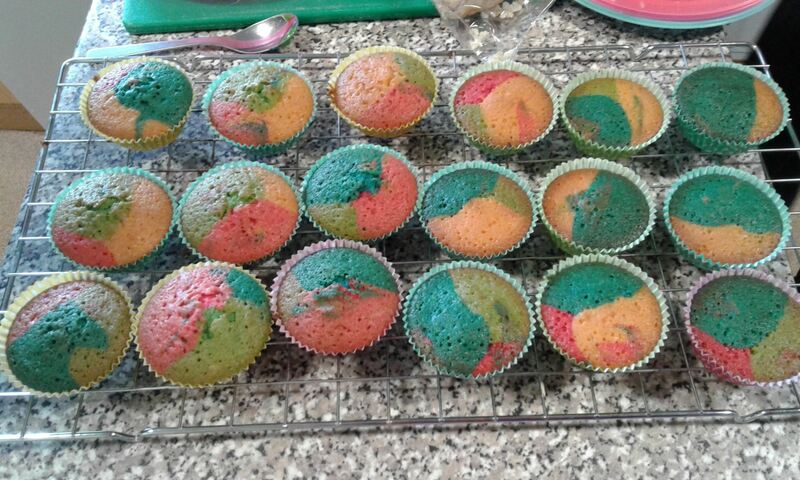 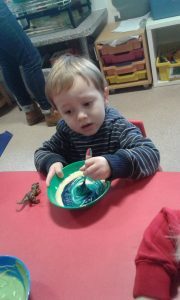 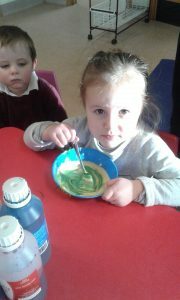 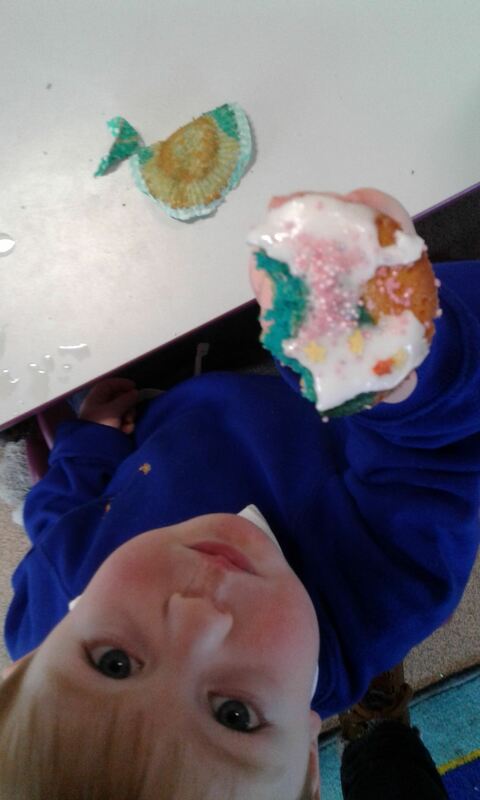 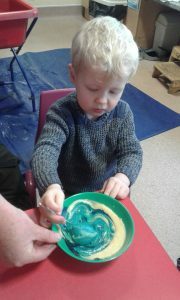 On Thursday we continued with our Magic and Fantasy theme and made magical rainbow cakes. 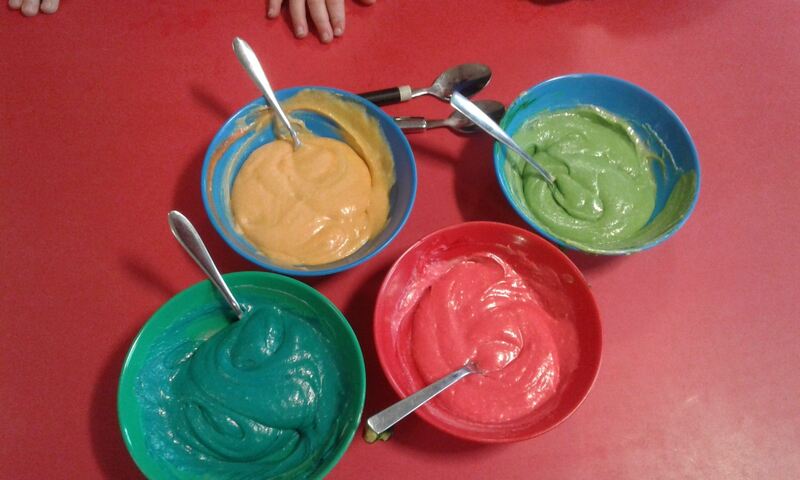 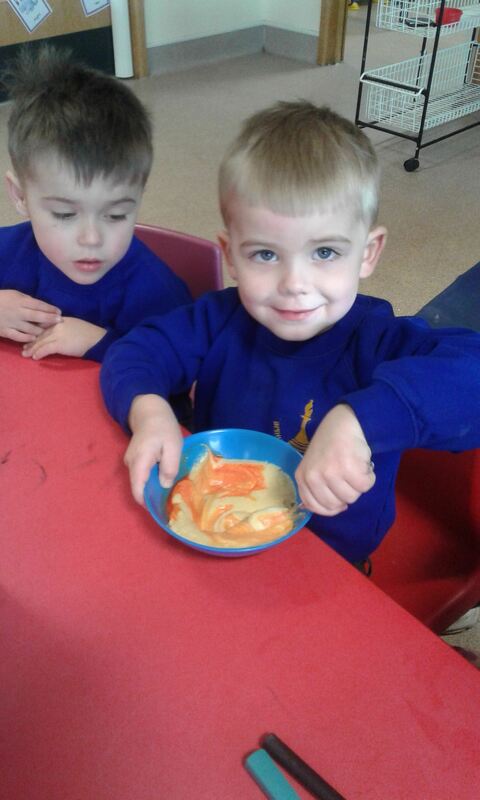 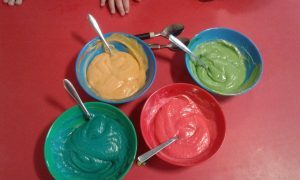 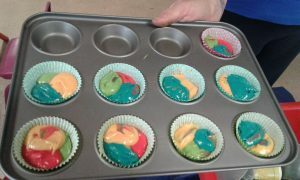 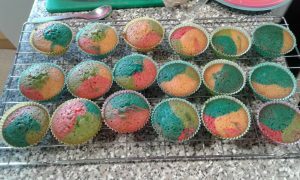 The children loved mixing the food colours in the cake mixture and then spooning in the different colours into their cake cases. The children each had one cake for afternoon snack and one cake to take home to enjoy.